Cold weather is just around the corner, and with it, plenty of changes for both you and your horse. You’ll probably ride less often, and spend more time cooling out when you do. The cold weather that keeps you from exercising as much also forces your horse to burn calories differently. Now your horse isn’t just eating to maintain his weight and fuel his activity (and your rides). Now he’s also eating to keep himself warm. 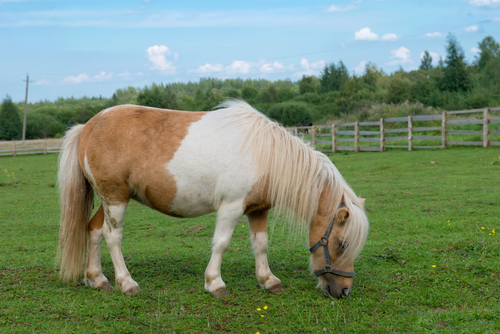 Here are a few factors to consider when adjusting a horse diet for winter. Horses need more calories in cold weather, plain and simple. You may think your horse will need less to eat since you’re not riding as much, but depending on how cold it gets, he may actually need even more to maintain a comfortable temperature. The concept of critical temperature, the point at which a horse has to start burning extra calories in order to stay warm, will help you decide how much extra to feed. Horses need about 15 to 20 percent more feed for every 10 degrees below critical temperature. If your horse is at a good winter weight and has a healthy winter coat, that critical temperature is probably about 15 degrees, but if he’s underweight or doesn’t have a good winter coat, his critical temperature will be much higher. When it comes to creating extra body heat during cold winter temps, not every calorie is created equally. Roughage will take the longest to digest, creating extra body heat as it does. As you increase feed in winter to help your horse stay warm, focus on adding fiber from sources such as hay and hay cubes. As an added benefit, a high-fiber horse diet will also help to keep your horse’s digestive tract moving, protecting him from the risk of colic. 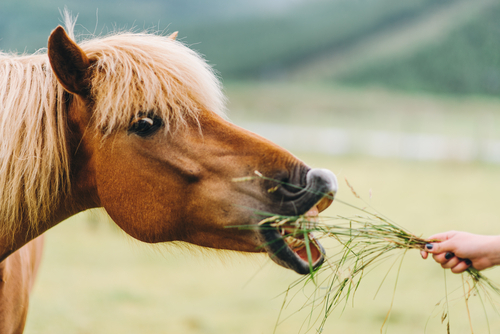 Protein and fat don’t create the same slow burn that roughage is known for, but they still add extra calories to your horse’s diet, which is important. If your horse is struggling to maintain weight in the winter, you can boost his protein intake by replacing regular hay or hay cubes with alfalfa hay or hay cubes. Adding oil to pelleted feed is another trick, as the fats provide the additional calories that older or underweight horses so desperately need. Getting horses to drink enough in winter weather can be difficult, but plenty of water is an important part of a healthy horse diet in winter. To ensure your horse is drinking enough even in the cold, consider using a safe tank heater to keep the water temperature above freezing. 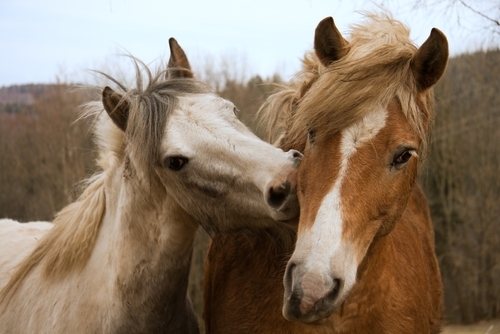 Horses tend to drink more when the water temperature is above 50 degrees. If you choose not to use a tank heater, break out the ice regularly, and consider adding a bucket of hot water to a large tank a couple times a day to warm the water and make it more palatable for the horses. Providing salt and minerals may also help to encourage your horse to drink more. If you’re interested in an easy way to increase calories, fiber, even protein and fat, consider adding pelleted feed to your horse’s diet. Pellets can be fed as-is or mixed with hot water for a warming mash. 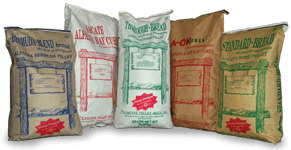 For more information about how our pelleted feed can contribute to a good winter horse diet, contact Sacate Pellet Mills at 602-237-3809.